Made of navy blue velvet, this challah cover is richly and artistically designed. Made craftily with silver colored thread, this challah cover is designed with an elegant draped canopy with a crown on the top. The Hebrew words, which are recited in the Shabbat prayers, “Yismichu bimalchuscha shomrei Shabbat”, which means “Rejoice with Your Kingdom, Shabbat observers” are arranged two challah loaves. The challah cover is one of the few traditional and distinct table setting items that characterizes a set Shabbat and Jewish holiday table. 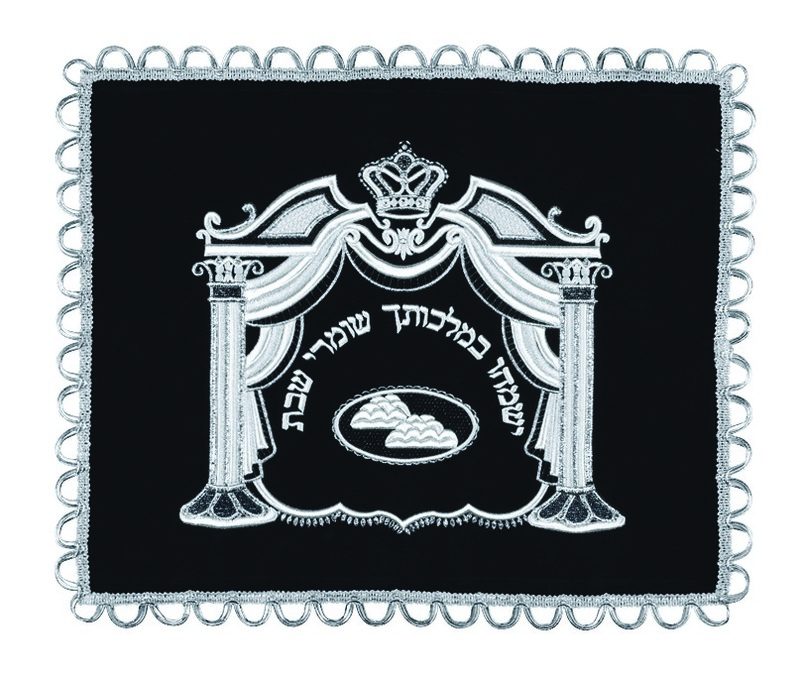 The challah cover, as its name suggests, is used to cover the challahs while the Kiddush is being recited. A special designed challah cover adds glory to the Shabbat and holiday table.